3. Subject to the approval of the major-general commanding, the separate organizations of the Second and Third Brigades of this division are re-established. Col. Robert Nugent, Sixty-ninth New York Volunteers, is assigned to the command of the Second Brigade, and Col. C. D. MacDougall, One hundred and eleventh New York Volunteers, is assigned to the command of the Third Brigade. Until the proper assignments of staff officers are made, the commissary and quartermasters of the Consolidated Brigade will furnish both brigades with the supplies of their respective departments. Steady accumulation, though many were of dubious quality, had allowed these three badly depleted regiments to refill their ranks to almost a thousand men, again allowing for their operation as an independent unit. Col. Robert Nugent of the 69th New York was appointed its commander. Near Petersburg, Va., November 1, 1864. In compliance with Special Orders, No. 555, headquarters First Division, Second Army Corps, dated October 31, 1864, this brigade is hereby reorganized from this date and the undersigned assumes command. Until further orders the brigade will consist of the following regiments, viz: Sixty-third, Sixty-ninth, and Eighty-eighth Regiments, New York Volunteers. All reports and returns heretofore made by these regiments to headquarters Consolidated Brigade will hereafter be made to these headquarters. In assuming command of the old Irish Brigade, it gives me much satisfaction to know that, although fearfully decimated by the casualties of a campaign in which its officers and soldiers endured, with a cheerfulness unsurpassed, unusual dangers, hardships, and privations, they still maintain their old reputation for bravery and patriotism. The record of the brigade has been a bright one it has proved its fidelity to the Union by its courage and sacrifices on many a battle-field. Never has a regimental color of that organization graced the halls of its enemies. Let the spirit that animates the officers and men of the present be that which shall strive to emulate the deeds of the old brigade. Deserted House, before Petersburg, Va., November 2, 1864. In accordance with authority received from headquarters Army of the Potomac, Special Orders, No 165, paragraph 1, from these headquarters, directing the consolidation of the Second and Third Brigades, of the First Division, Second Army Corps, is hereby rescinded, and these brigades will be at once reorganized, under the direction of the division commander, as follows: The Sixty-third, Sixty-ninth, and Eighty-eighth New York Volunteers will form the Second Brigade. Col. R. Nugent, Sixty-ninth New York Volunteers, is assigned to the command of this brigade. The Seventh, Thirty-ninth, Fifty-second, Fifty-seventh, One hundred and eleventh, One hundred and twenty-fifth, and One hundred and twenty-sixth New York Volunteers will form the Third Brigade. Bvt. Brig. Gen. George N. Macy is assigned to the command of this brigade. On November 5, a final piece of good news was delivered. The 28th Massachusetts was reunited with the three New York brigades and the old Irish Brigade was reunited as much as was possible. 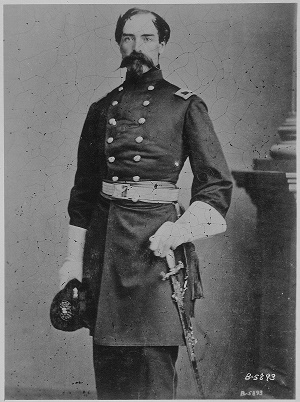 Col. Nugent, although actively engaged in working to make the Irish a separate unit, also maneuvered to prevent Col. St. Clair Mulholland’s 116th Pennsylvania from rejoining. He had an ulterior motive. Mulholland ranked Nugent and would have commanded the brigade if the 116th Pennsylvania was made a member. Regardless, one of the Union’s most famous brigades again had its identity back, and the ball started rolling on this development 150 years ago today.